For your annual reports we can animate pie charts, tables and graphs to highlight the important facts. We can also create all types of interactive animations: multiple choice quizzes, final scores, online forms… all is possible! Make us part of your project and we’ll give you some creative solutions. Attract your visitors with an animated cover page! 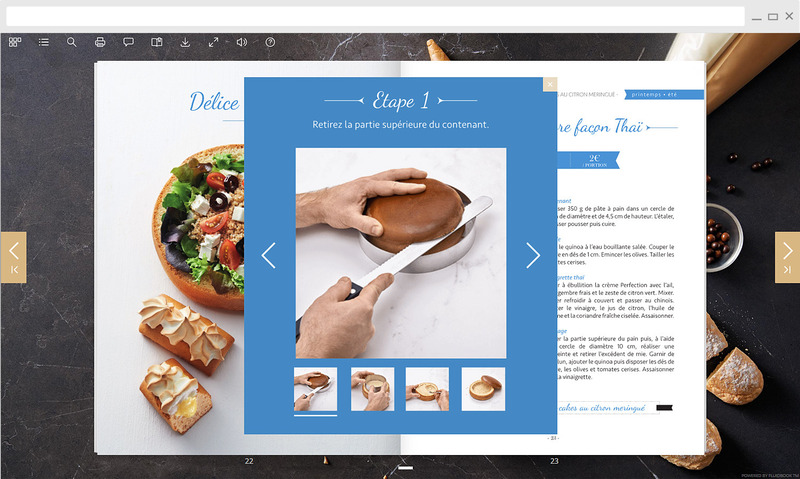 Hold their attention from the first page and create a desire to discover what’s inside your interactive publication. Animate the graphics in your interactive annual reports: pie charts, tables, graphs, figures… highlight the important facts and make your data tell a story. All types of interactive features are possible: slideshows; Twitter, Facebook or Pinterest streams; quizzes; contact forms; order forms; 3D product animations; Google maps; 360° virtual tours… make the most of digital power to enhance your publication!